Celkon has launched a new Android 4.4.2 KitKat-based smartphone in India, the Celkon XION S CT695, priced at Rs. 7,299. It features a 6.95-inch (600×1024 pixels) IPS display and is powered by a 1.2GHz dual-core Cortex-A7 (MediaTek MT8312) processor that’s coupled with a Mali-400 GPU and 1GB of RAM. The Celkon XION S CT695 phablet comes with dual-SIM (GSM+GSM) support. The Celkon XION S CT695 bears 8GB of built-in storage that can be expanded via microSD card (up to 32GB). 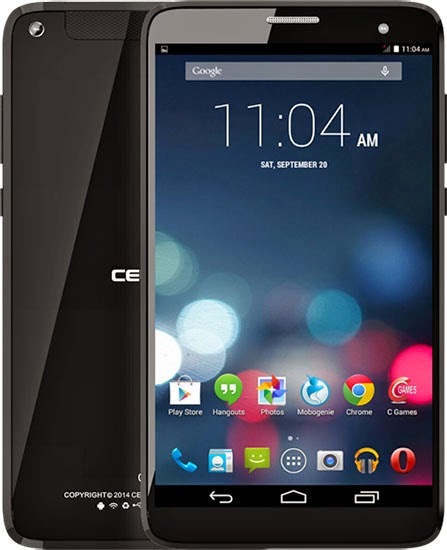 It features a 5-megapixel rear camera, and a 0.3-megapixel front-facing camera. Connectivity options on the Celkon XION S CT695 phablet include 3G, Wi-Fi 802.11 b/g/n, Micro-USB, GPRS/ EDGE, A-GPS, 3.5mm audio jack, USB OTG, and FM radio. It is backed by a 2500mAh battery that the company says gives it a standby time of up to 30 hours and talk time of up to 3 hours. The Celkon XION S CT695 is available in Black colour only. It measures 180×104.4×8.55mm and weighs 250 grams. The new Celkon XION S CT695 phablet will join other Android KitKat-based handsets from the company, such as the Celkon Campus A15K, Signature Two A500, Millennium Elite Q470, Millennium Power Q3000, Millennium Vogue Q455, Campus Mini A350, Millennium Dazzle Q44, Celkon Q40+, and the Campus A35K. Earlier this month, Celkon launched the Campus Nova A352E and Campus One 345C smartphones priced at Rs. 1,999 and Rs. 2,599 respectively. Meanwhile, the company in October also introduced the Celkon Q40+, which was listed on the company’s site without any details of pricing and availability. Celkon last month launched two smartphones, namely the Millennium Ultra Q500 priced at Rs. 9,999, and Millennium Glory Q5 priced at Rs. 7,299.